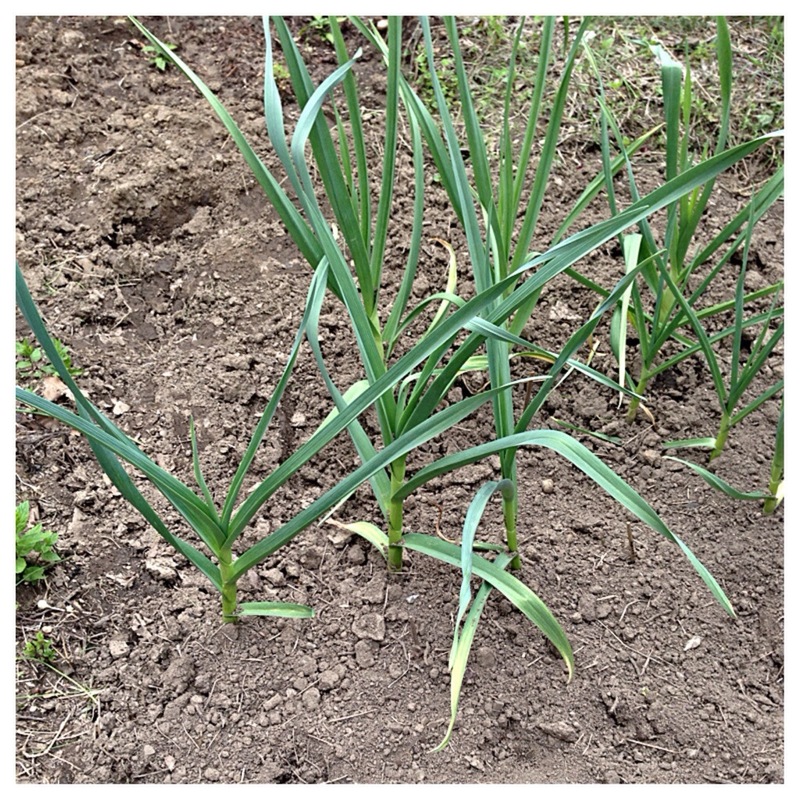 I decided to grow a small patch of garlic last year, so I planted a bunch of organic garlic seeds in October 2013. I didn’t do much but, cleared a small area in the garden and planted the seeds. I harvested my tiny crop in July and was totally blown away. At first, I was a little apprehensive about the outcome. I planted them in 2013, and it wasn’t until the middle of July when I uprooted the first one. It was perfect! Then the others were also perfect. My children and I were extremely ecstatic. We all were jumping up and down as if we won the lottery. 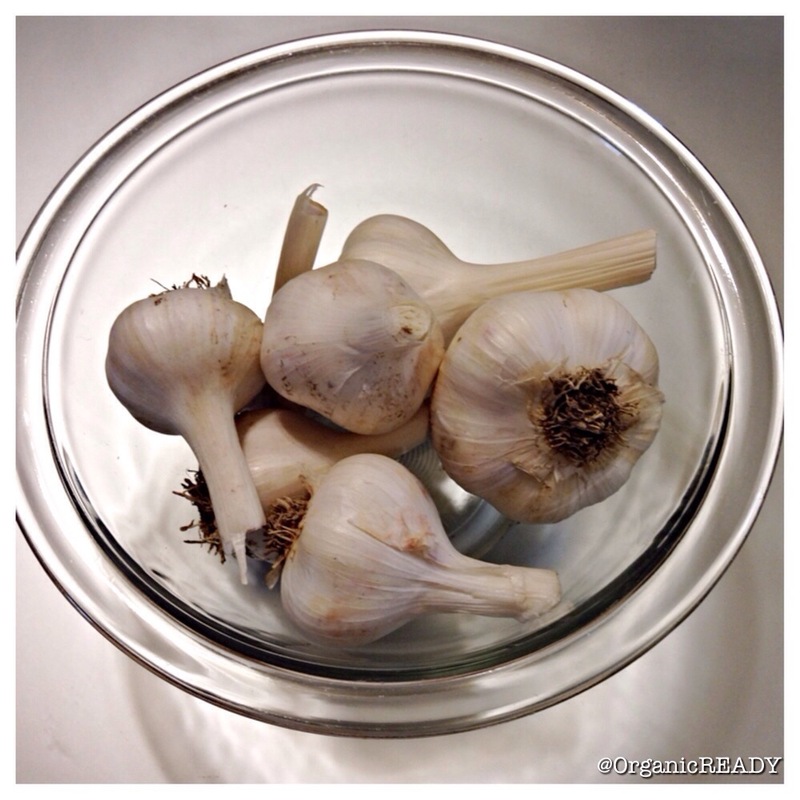 Growing garlic is super easy. If I could do it, anyone can. I couldn’t believe these little suckers survived the whole cold and snowy winter. Of course, when the weather finally warmed up, all sorts of weeds were growing all around the garlic plants. It wasn’t until early May when I finally got down and dirty. 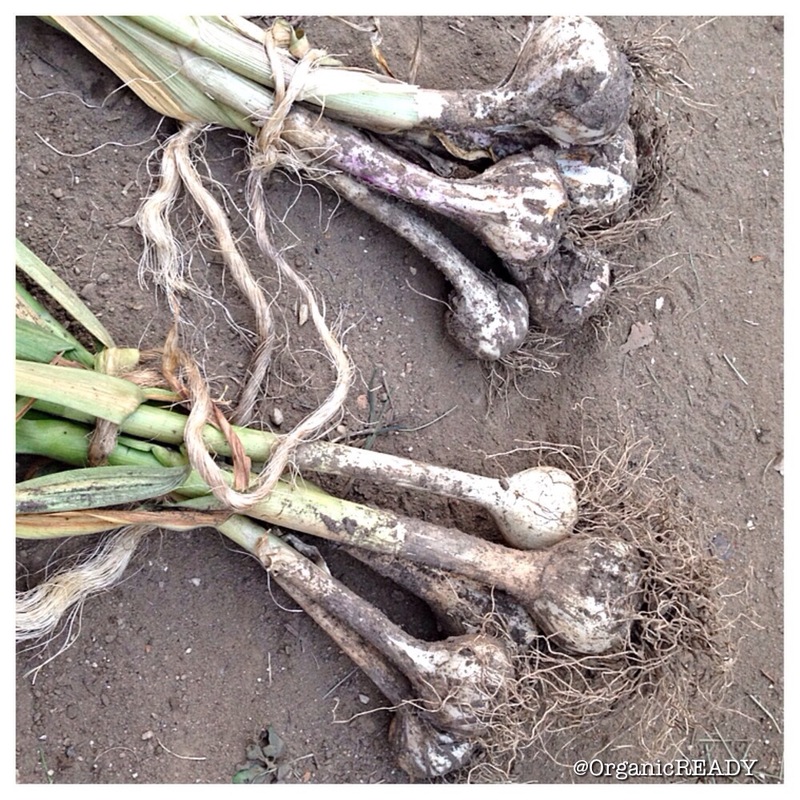 Weeding is not my favorite task to do in the garden; nonetheless, it had to be done in order for the garlic to get the proper nutrients from the soil. I also added some organic compost, chicken manure, and organic liquid kelp to fertilize the soil. Here’s a picture I took after I uprooted the weeds. I bought the seeds from Filaree Garlic Farm. I searched online for organic seed companies, and I came across Filaree. They seemed like the perfect choice at the time. Well, based on the name alone, it sounded great. After some further research, Filaree Farm had over 25 years in the business, and their main business is organic garlic farming. They also plant and sell potatoes and shallots. I contacted Filaree about some literature on growing garlic, and they were extremely friendly and helpful. The garlic variety I planted are called Hardnecks Porcelain and Rocambole. I chose Rocambole because they have large easy to peel cloves, and Porcelain because they have the highest allicin content of the garlic varieties. Garlics are super healthy. According to whfoods.com, garlic encompasses amazing cardiovascular health benefits, anti-inflammatory benefits, antibacterial and antiviral benefits, and cancer prevention. I’m already excited about planting again this coming Fall.